Although viable pregnancies can occasionally have initial heart rates lower than these norms, a slow heart rate in early pregnancy is associated with a higher risk of miscarriage. 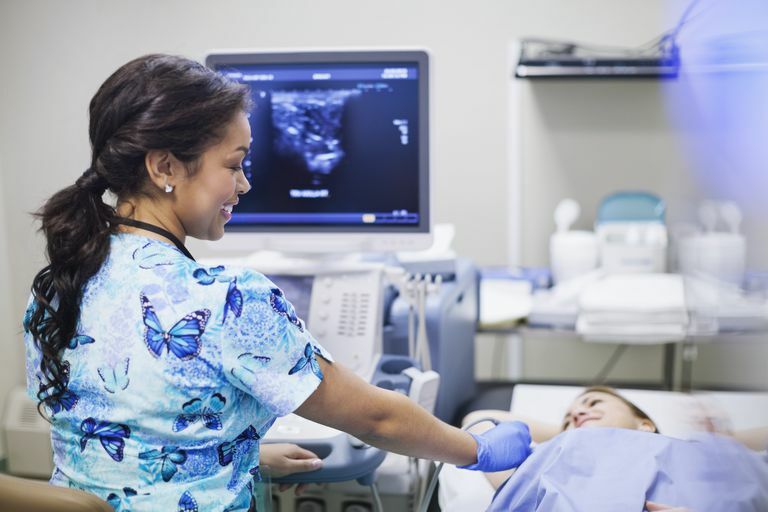 Doctors usually recommend followup ultrasounds for women whose babies have slow heart rates in order to determine whether or not the pregnancy is viable. Unfortunately, nothing can be done to affect the outcome; a miscarriage that happens after detecting a slow heart rate sometimes means the baby had chromosomal abnormalities from the beginning. A faster than normal heart rate does not appear to carry an increased risk of miscarriage or other negative pregnancy outcomes. There is no evidence that the fetal heart rate can predict the baby's gender. Cardiovascular System Development - Embryonic Heart Rate. Mark Hill. UNSW Embryology. Coulam, C.B., S.Britten, and D.M.Soenksen, "Early (34-56 days from last menstrual period) ultrasonographic measurements in normal pregnancies." Human Reproduction 1996. 11(8): 1771-1774. Doubilet P.M. and C.B. Benson. "Embryonic heart rate in the early first trimester: what rate is normal?" Journal of Ultrasound in Medicine Stefos. Theodor I, Dimitrios E. Lolis, Alexander J. Sotiriadis, George V. Ziakas. "Embryonic heart rate in early pregnancy." Journal of Clinical Ultrasound 1998. Vol. 26, Issue 1, 33 - 36. Doubilet, Peter M., Carol B. Benson and Jeanne S. Chow. "Outcome of Pregnancies with Rapid Embryonic Heart Rates in the Early First Trimester." American Journal of Roentgenology 2000. 175:67-69. Are Low hCG Levels in Early Pregnancy a Sign of Miscarriage? What Are the Normal hCG Doubling Times in Early Pregnancy?